Boost your health and energy and eat cleaner with this guide to superfoods loaded with vitamins, minerals, and antioxidants. 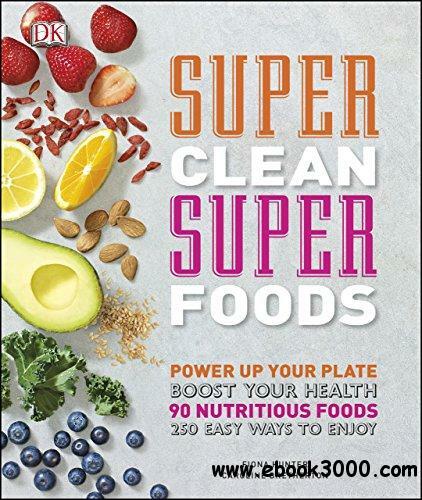 Featuring 250 easy ways to enjoy 90 nutrient-filled whole foods, Super Clean Super Foods shows you how to incorporate each one into your everyday diet, along with colorful illustrations that teach you how to prepare unfamiliar ingredients. From quinoa and chia seeds to spinach and pomegranate, this guide uses unprocessed and minimally processed foods that avoid added sugar, salt, and unwanted fats. Explore the health properties of phytonutrients, dietary fiber, whole grains, and seasonally and locally grown fruits and vegetables that will better your body and the environment, and work toward specific goals with food plans for better sleep, gut health, brain health, and more.